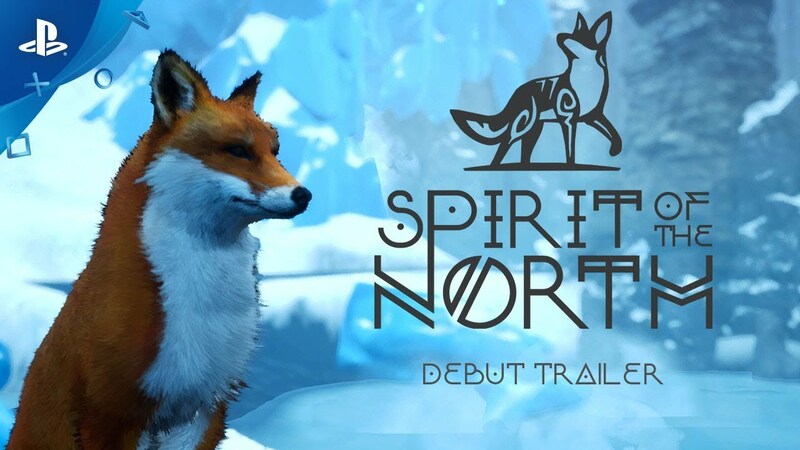 Play as an ordinary red fox whose story becomes entwined with the guardian of the Northern Lights, a female spirit fox. As you journey over the mountains and under red-stained skies you’ll discover more about your companion and a land left in ruin. This 3rd-person adventure game will send players on a quiet journey as a fox through a beautiful and mystic world. After awakening the slumbering Spirit of the North, players are drawn into an adventure of discovery and companionship. The game world is inspired by the breathtaking and mysterious landscapes of Iceland and the story takes root from various pieces of Nordic folklore. Players become entwined with a spirit fox imbued with the powers of the Northern Lights. And as they traverse tundra, explore glacial caves, and cross calm alpine meadows, they discover more about their companion and, ultimately, about themselves. The game is unique in that it purposefully has no dialogue or narrative. Players must breathe in their surroundings to solve various environment puzzles and postulate the meaning of an ancient civilization left in ruin. ALL OTHER MARKS AND TRADEMARKS ARE THE PROPERTY OF THEIR RESPECTIVE OWNERS. ALL RIGHTS RESERVED.